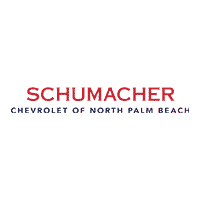 With a decades-long track record for reliable work power, you can rely on the 2018 Chevrolet Silverado 1500 for your next job in North Palm Beach, Florida. This legendary pickup has a bold and rugged design and the capability to back it up. Tow up to 12,500 lb. with the available 6.2L V8 engine. Despite its rough exterior, this truck doesn’t forget about comfort. The upscale interior comes loaded with modern tech, like available smartphone connectivity. Why the 2018 Silverado 1500?